Hum Sub Inc. is a non-profit Indian-American cultural organization registered in the Town of Cary, North Carolina. Our mission is to share the social and cultural traditions of India with residents of the Research Triangle areas. We do this by promoting, supporting, and organizing family oriented cultural events which are geared toward diversity awareness while helping to build a stronger foundation for our youth. By targeting the entire community with our events and by partnering with local agencies as well as town government, we support the town’s mission of enriching the lives of its citizens. Through our yearly events and participation in community activities, we have become a regular fixture in the local cultural scene and have become the organization that represents Indian culture and heritage in the Triangle area. Hum Sub strives to promote greater awareness of the Indian social and cultural traditions through annual celebrations of Diwali (Festival of Lights held in October each year), Basant Bahaar (festival of spring, held in spring each year) and other cultural events. Since its inception, Hum Sub’s primary focus has been to promote, support and organize family oriented cultural activities to help build a stronger foundation for the youth in our community. Hum Sub relies entirely on community support and local business sponsorships to make its programs and events possible. In its activities Hum Sub collaborates with local agencies and other cultural organizations. Hum Sub also works hand–in–hand with the Town of Cary. 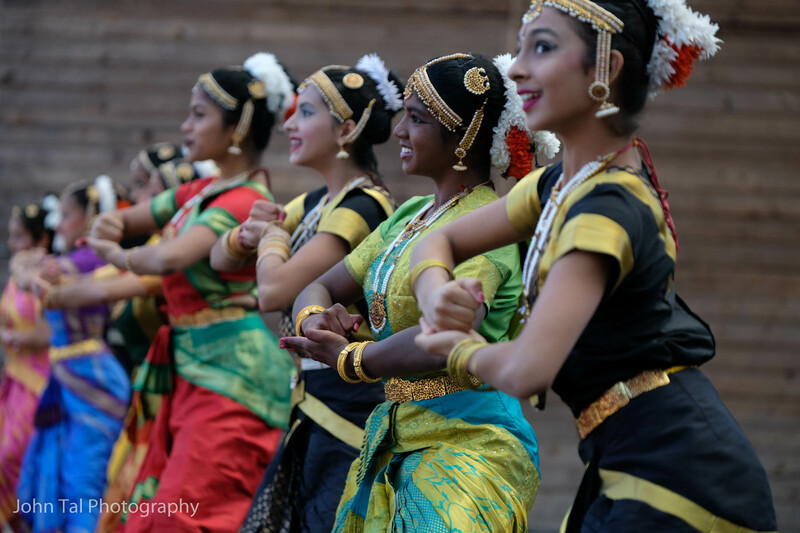 Our programs include stage performances, cultural exhibits, craft sales, feature cuisine from local Indian restaurants and have showcased vendors from the Triangle area and as far as Virginia. The Hindi phrase “Hum Sub” means “All of us.” Hum Sub, Inc. was founded in 2001 by a group of Indian Americans living in the Triangle area of NC, to address the growing need to share India’s diverse and colorful cultural heritage with the local community at large. The group wanted to increase awareness of Indian culture by organizing cultural events. Their idea was to bring the same level of professionalism that people exhibited at work to the organization and produce quality events. After their first successful sold-out event, Basant Bahar held at Green Hope High School, the group approached Lyman Collins, Cultural Arts Manager at Town of Cary with the idea of organizing an event open to general public with the Town’s partnership. Mr. Collins’ embraced the idea and the first Cary Diwali was held with at Herb C Young Community Center attracting a record crowd of over 2500 people. Both the Town of Cary and Hum Sub realized that next year they would need a bigger venue to host this and the new Koka Booth Amphitheatre seemed like a good fit. Since then, both Basant Bahar and Cary Diwali have grown both in quality and popularity. Cary Diwali is the Triangle’s signature “Indian” event and biggest of its kind in the southeast. class="page-template page-template-page-sections page-template-page-sections-php page page-id-3073 samba_theme samba_left_nav samba_left_align samba_responsive ecwd-theme-samba wpb-js-composer js-comp-ver-5.4.5 vc_responsive"